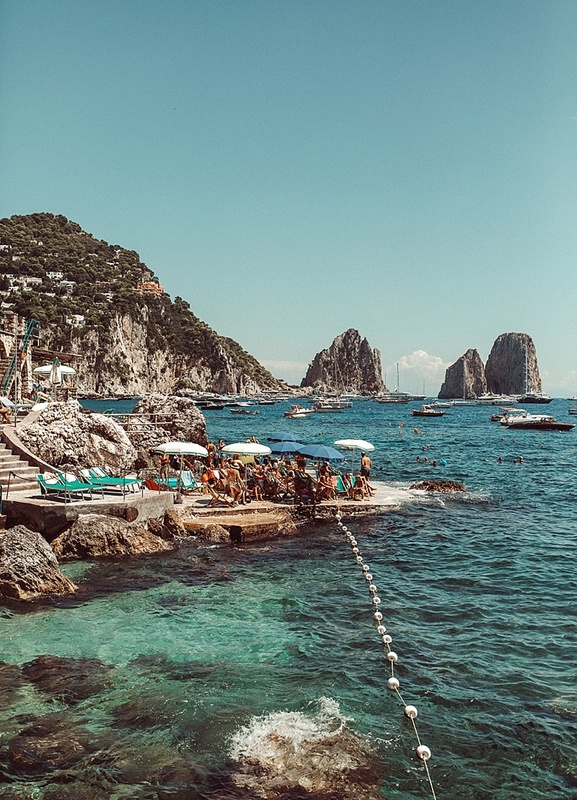 There is nothing more magical than the Italian coast and I refuse to let anyone tell me otherwise. After about a week in paradise with my husband I am still not ready to be back in the real world! The amount of pizza and pasta we ate may be illegal but all the walking around and sightseeing we did made it allllll balance out (right?). 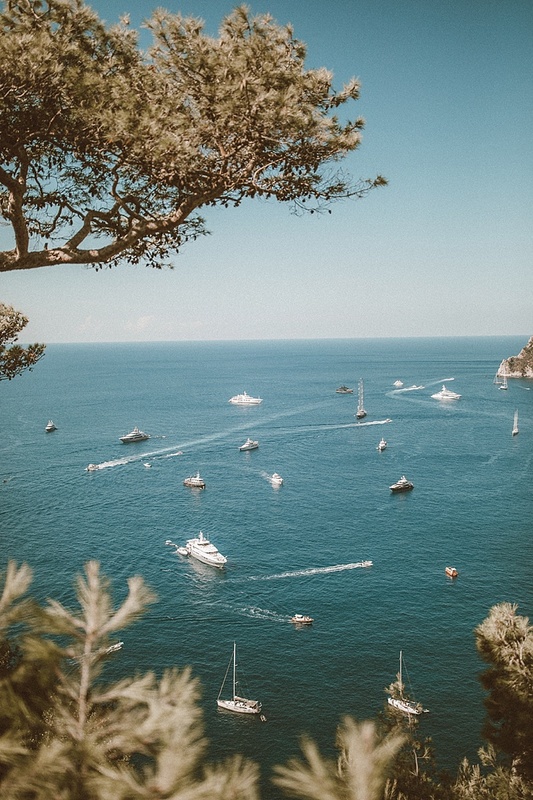 So this trip we were based in Positano with our rental car that we drove over from the Naples airport and took a day trip to Capri to get some new views. Oh man it was QUITE a day!! So incredibly beautiful and a great way to get some space from the crowded beaches during midday in August. 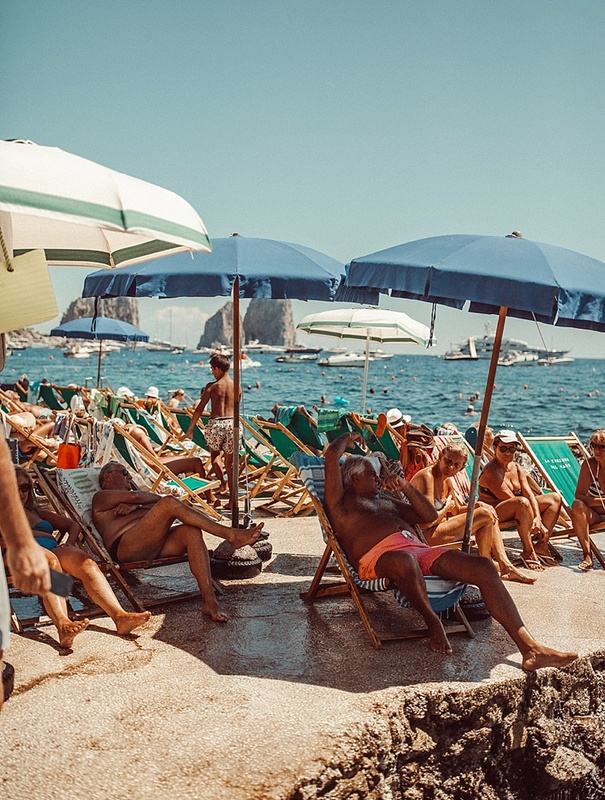 Italy has a national holiday on August 15th, called Ferragosto, which marks the peak of summer and the start of vacation for most Italians. Some cities even shut down for the entire month of August! Of course, the trip was still absolutely incredible but there were times I swear the entire country was on the same beach. Anyways! Cole and I had a lovely morning in Positano before hopping on the ferry to Capri for a day of adventuring. Once we arrived at the main docks we decided to walk across to the other side of the island, which was STAIRS ON STAIRS! Such fun walk with some stunning views throughout the city, I absolutely loved it. 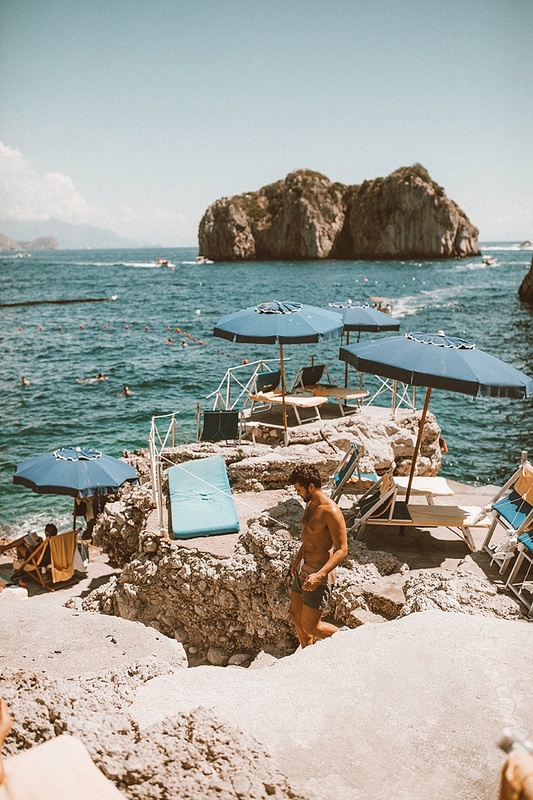 Next stop was at the beautiful Da Luigi ai Faraglioni for some incredible beach time alongside the "faraglioni", which are the towering rock formations created by wave erosion. The sea was such a deep blue and they had some beach cabanas that were nestled into the rocky hillsides. It was stunning! 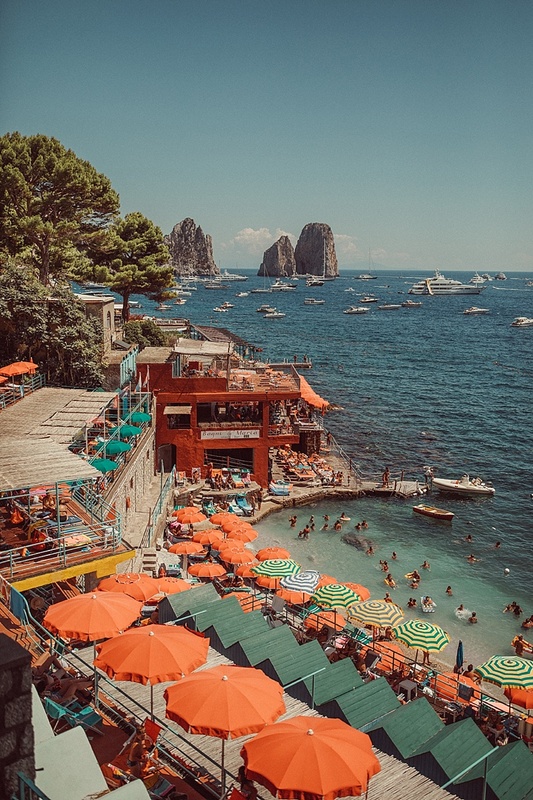 Conveniently, Da Luigi is right next to another beach club, called La Fontelina, which is one of the most beautiful beach clubs in all of Italy. 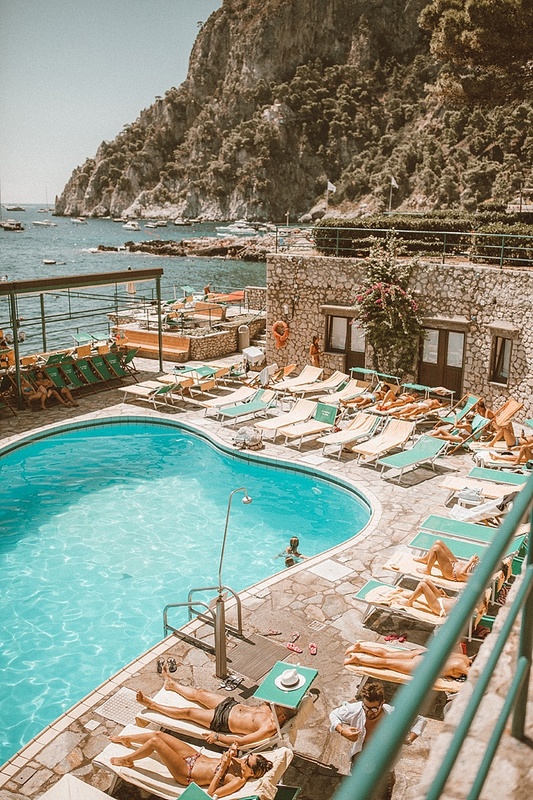 During summer months it is nearly impossible to get a spot at La Fontelina unless you have booked way far in advanced so many people opt for spending their days at the similarly incredible Da Luigi, which I cannot recommend more! 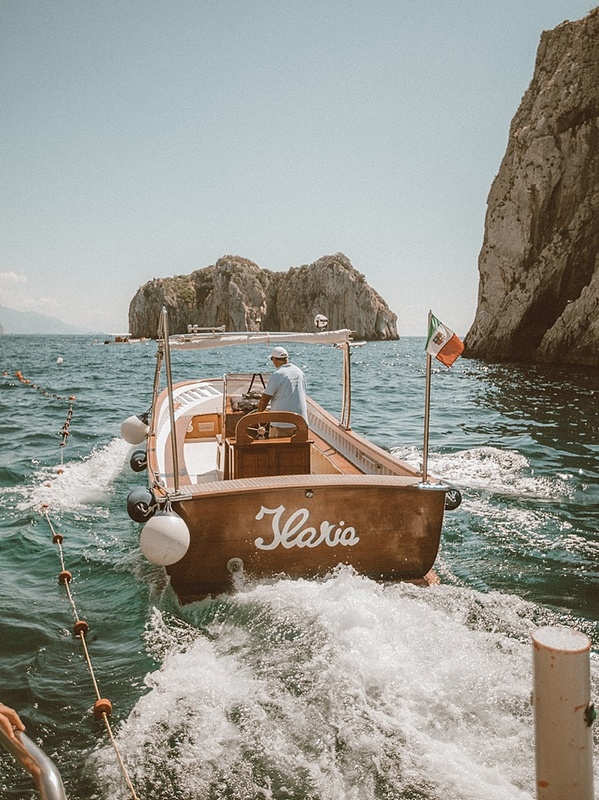 After some much needed R&R, Cole and I headed to Marina Piccola for a boat ride around the entire island of Capri to see the stunning caves and rock formations. Ya know those photos you use to see as as a kid of places in the world and you tell yourself... one day I'm going to go there? Well Capri was my place! 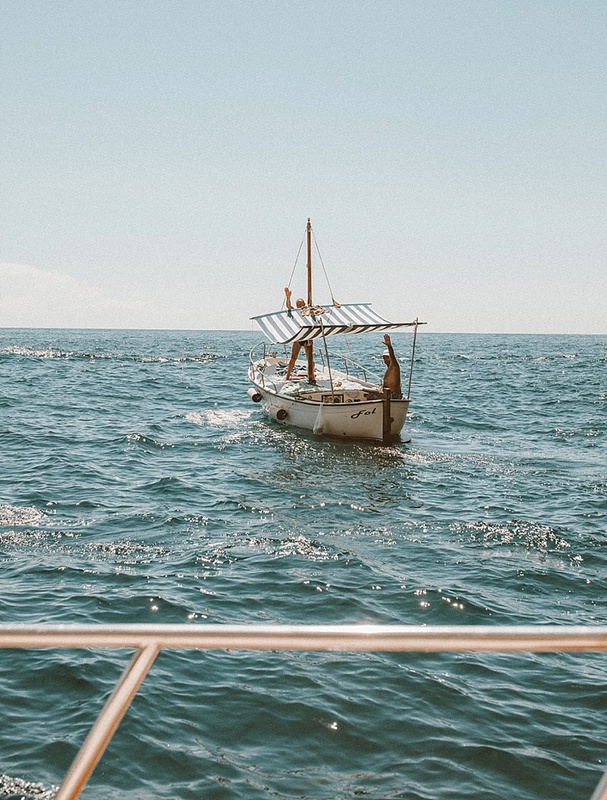 I felt like I was in a movie as we played in the sun while cruising around the island! 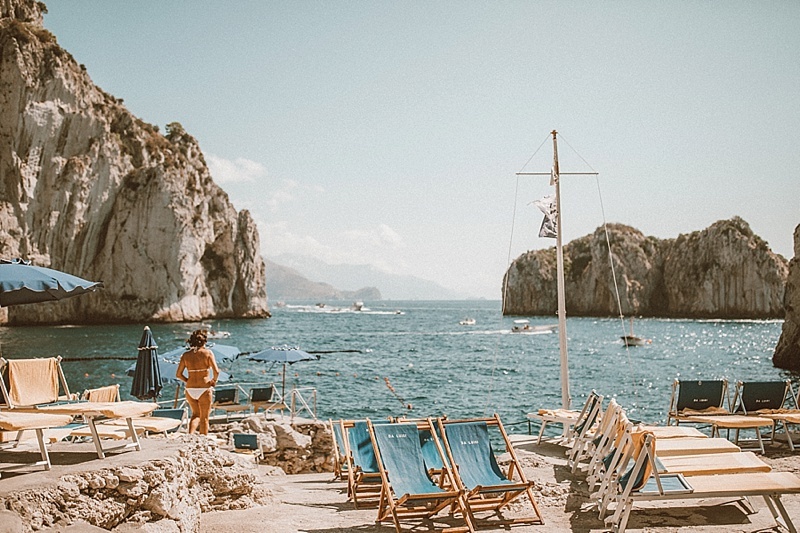 I wish we had more time in Capri because there is soo much to see and do! Something fun and surprising in Capri was the amount of designer shopping. It felt like a museum of designer wear made specially for Capri. 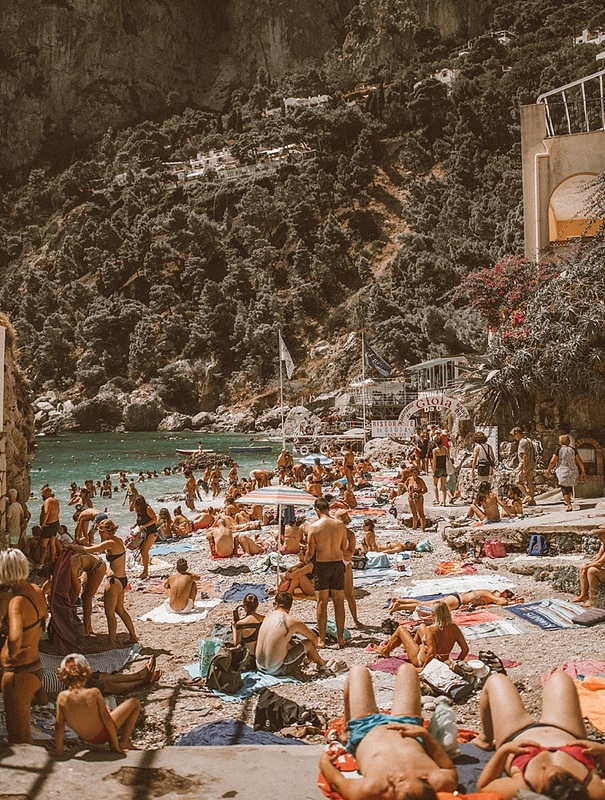 We packed a lot in on our one day and by the time we took the ferry back to Positano we were wiped. 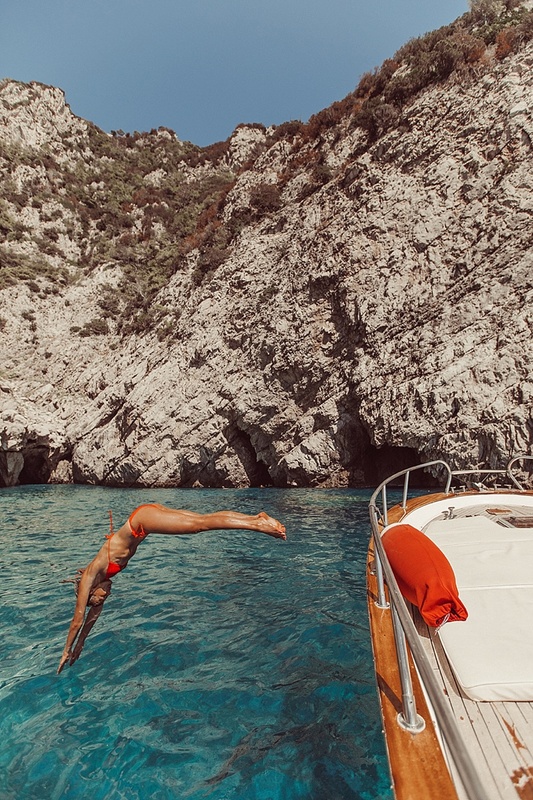 Long story short, put Capri on the top of your list. This series of photos is one of my favorites of yours ever! 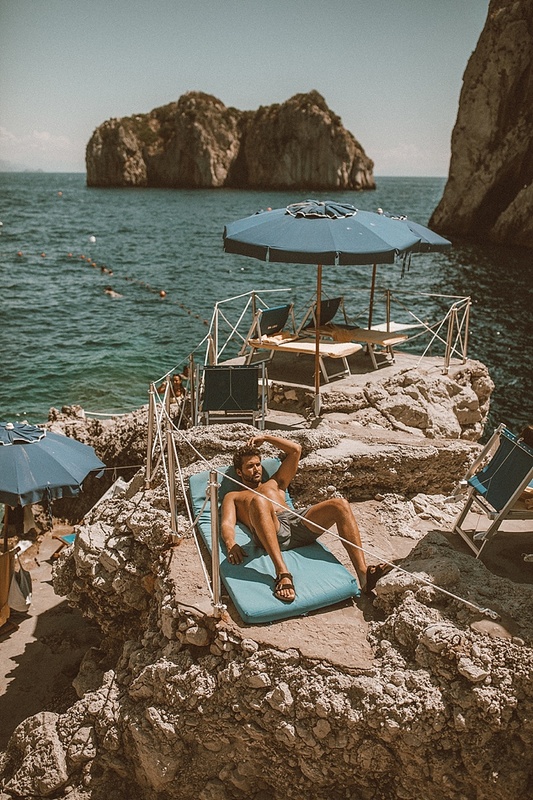 We went to Capri just for a day a few years ago and I couldn't agree more with what you said, and these photos took me back! I want to go back for an extended period of time in the future because it is truly so beautiful. I thought it was fine and all until we took the boat tour around the island and then I was like, OMG I'M OBSESSED with this place haha. 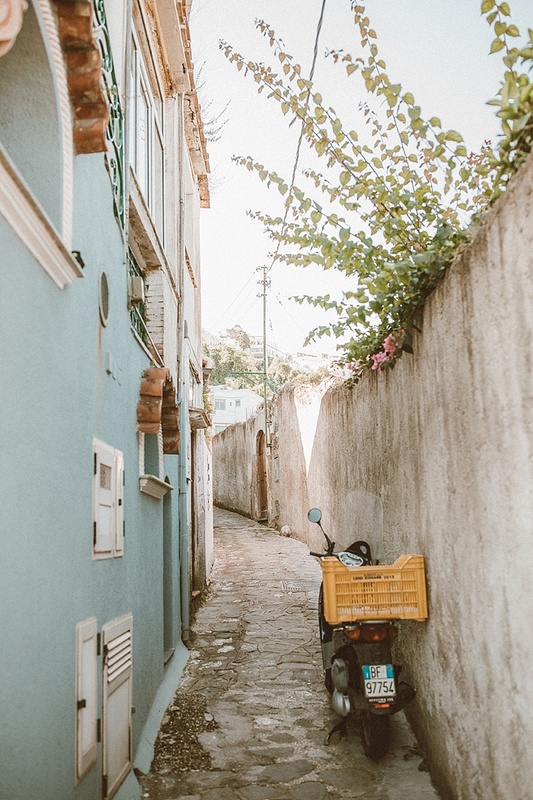 Something about being able to see the perspective and the scenery from afar really made me appreciate it - it was hard to really visualize how grand the place is when I was just walking through the streets (though they were cute don't get me wrong). The colors, the scale, the unique landscape, ahh it's just amazing. The Universal Post is creating and curating stories, research to take you to the real facts , truth behind every step, every statement given by so called - Pseudo Intellectuals who think India is intolerant. Join us in our journey and we promise you to clear your thoughts and you will celebrate Independence Day every day in India.